Mesmerizing people of all groups with its rich and rare fragrance, our Incense Sticks have ignited a huge demand in the market. This Incense Stick is served in the market under the brand name "Silver Rain" which influence a positive effect on the environment. Our Silver Rain Incensed Stick is available in varied sizes as per your requirements. Its fragrance is truly irresistible, soothing, and stimulating and thus, appreciated by all. The sticks are widely used aromatherapy centers, spa, and other healthcare institutions to create an enchanting experience. 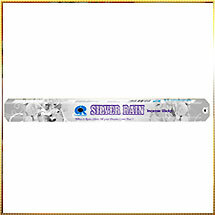 However, we provide Silver Rain Incense Stick in attractive packaging and at reasonable prices.